On old (antique) prints there are usually abbreviations of Latin words printed below or beside the image. These are like the credits, acknowledging the contributions of the artists and craftsman printmakers responsible for printing the print. For this week's article we have written an explanatory guide to the words that they are abbreviated from, offer a rough translation and expand the meaning/definition of these terms in the context of printing and engraving. Del. or Delt. Abbreviation of "Delineavit". Definition: "He Drew It". Used after the artist's name on a print to show that it was a drawing and not a painting from which the engraver worked. Ex. or Execud. or Ext. Abbreviation of "Execudit". Definition: "He did it." Follows the engraver's name on the plate. Used in place of Sculpsit (see below). Fc. or Fec. Abbreviation of "Fecit". Definition: "He did it." Used in the same way as Pinxit (see below), usually follows the artist's name on the print. Pinxit. or Pinx. Abbreviation of "Pinxit". Definition: "He painted it." Used after the artist's name on a print to show the engraver worked from an original painting. Sc. or Sculp. or Sculpt. Abbreviation of "Sculpsit". Definition: "He engraved it." The engraver's credit, on English prints the form Engr. is also commonly used. 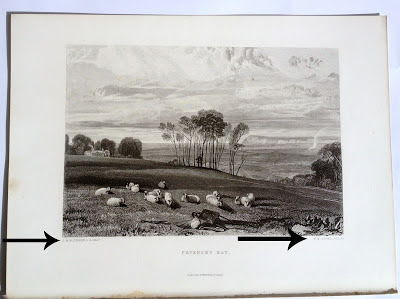 Example of Antique Print by JMW Turner Delt., W.B. Cooke Sculpt. 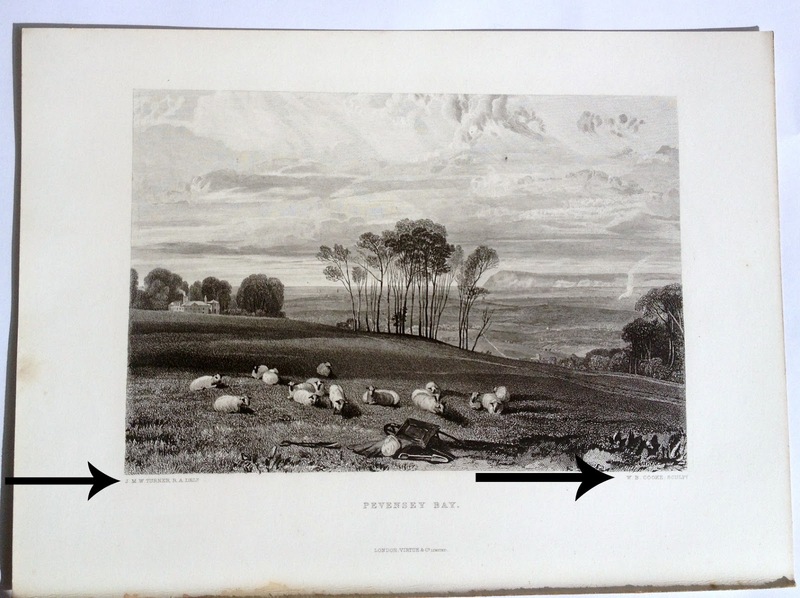 So in the example of the antique print "Pevensey Bay" in our gallery today the English artist J.W.M Turner is credited for the original drawing (JMW Turner Delt) and the engraving is credited to W.B Cooke (W.B Cooke Sculpt. ).